In Chicago, Taco Bell will open its first U.S. restaurant that serves booze, including alcoholic versions of Strawberry Starburst Freeze. Yum! You like to wash down your burritos with some booze? Taco Bell has some good news for you, if you happen to live in Chicago. The Mexican-inspired fast food franchise is opening a new restaurant in the Windy City on Sept. 22 with alcoholic drinks on the menu, alongside the usual gorditas and chalupas. 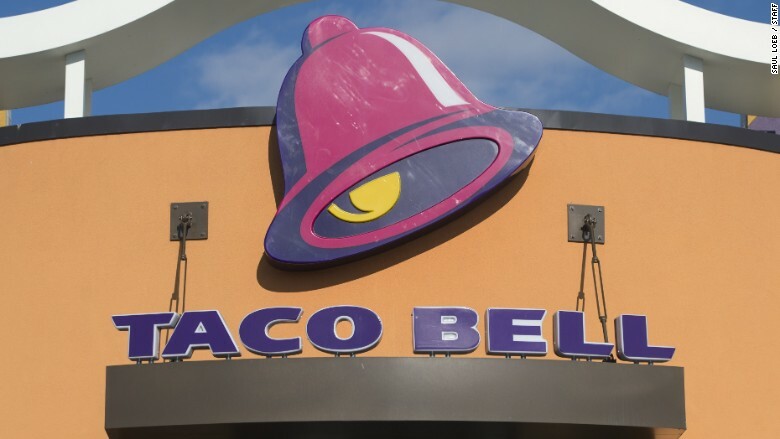 Taco Bell spokesman Alec Boyle said this will be the first U.S. location to serve beer, wine and "mixed alcohol Taco Bell freezes." Taco Bell, a division of Yum! Brands (YUM), will be offering alcohol versions of the frozen drinks that are already on the menu, including Mountain Dew Baja Blast, Mountain Dew Sangria Blast and Starburst Strawberry. The ambience at the new location, in the Wicker Park neighborhood, is also getting an upgrade to match the drinks. The restaurant will feature restored brick walls and an existing prismatic glass. "Where possible, the building will be upgraded," Boyle said. "Taco Bell Wicker Park will highlight the work of local artists, bringing a neighborhood feel to a brand millions of people love around the world." Related: Subway vows to vanish artificial colors, flavors, etc. He said Taco Bell has already implemented this type of restaurant design in Tokyo, Seoul and London. In June, Taco Bell promised to get rid of artificial ingredients and trans fats from its menu by the end of the year. Its sister restaurant chain Pizza Hut vowed to get rid of artificial colors and flavors by the end of July.